Affiliate Marketing has become a relatively easy and convenient way of earning money, thus, attracting quite a number of followers. For those who are new to the business, they have quite a lot to learn before they get to reap the bigger fruits of affiliate marketing. In fact, there’s so much to learn, it is quite difficult to focus on where and how to start on your own affiliate marketing venture. The focal point of affiliate marketing, or of any business enterprise for that matter, is the product. No exchange ever happens if there is no product involved. For those who are new to affiliate marketing, choosing a product to promote might make their head spin like crazy. The following tips regarding what kinds of products an affiliate marketer should promote are perfect for beginners. For those who are more experience in affiliate marketing, however, do not fret. You might also get a few tips from this article (or this article might just confirm what you already know, which isn’t all that bad, either). The first step in choosing a product to promote using affiliate marketing is not being too specific just yet. Focus on a certain group of products you might find interesting enough to sell, and soon, we’ll get to the part where you choose the specifics of what you’ll be promoting. For starters, CHOOSE A TYPE OF PRODUCT YOU BELIEVE IN. Promoting in itself is a great task, perhaps, the main focus of all your affiliate marketing activities. For those who aren’t exactly experts at promoting just yet, you might have to rely on your belief of the product above anything else—the more you believe in the benefits your products have to offer, the easier it would be to promote them. Anyway, if you, a real human being, find your product good enough, you might discover that other human beings find it good enough, too. For those who are simply starting out, you might find it easier to PROMOTE A PRODUCT THAT IS ALREADY POPULAR. Promote those with brand names that stand out. Competition might be fierce, but since your product has already been able to establish a name on the market, it would be much easier to sell. A few newbie affiliate marketers think that promoting lesser known products would be easier due to the smaller competition. They can’t be any more wrong. The fact that they are newbies promoting unknown products makes for the worst combination of all. Yes, competition might be fierce, but if you are just as fierce with your marketing strategies and promotions, you will eventually find yourself earning just as well as more experienced counterparts. DO A “MARKET RESEARCH.” It sounds like an expensive activity to undertake, but it isn’t. All you have to do is be observant. Try to observe people around you: family members, friends, strangers passing you by on the streets, and people you ride with on the public transit. What products are they using? Put yourself in their shoes and try to think what kinds of products they might like to purchase. Ask them, if you have to. Try to observe how they react to certain product names, and how they do not when it comes to others. You might find yourself flashing a light bulb once in a while. Take advantage of what you have learned. They might come in handy as soon as you gain the information, or at a much later time. Once you know what kinds of products you would want to promote, it is time to narrow down the list. This might be, initially, a tad confusing, but once you have established the categories of products you would like to promote, this part becomes much easier to undertake. If you were lucky enough to know the specific product to promote given the tips above, then you might want to try SEARCHING FOR YOUR PRODUCT THROUGH YOUR FRIENDLY NEIGHBORHOOD SEARCH ENGINES. If you have already set your heart and mind on promoting a certain product, look for it, and try to find out whether the product can be promoted through affiliate marketing. However, if you are like the rest of affiliate marketers just starting out, and, well, still confused on the specifics of the product you would promote, you might want to JOIN AFFILIATE MARKETING NETWORKS. In this case, search engines are as much your friends as the first case. 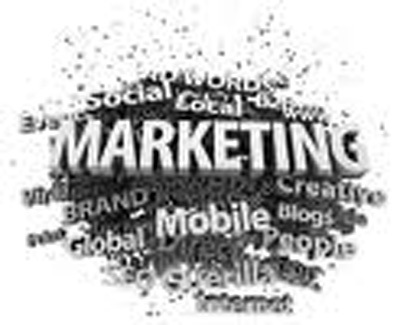 Find marketing networks that have large product databases, and preferably, do not have any membership fees. Once you know what products to promote, there should be no turning back. Everything else will fall into place. Though the next steps to finalizing your affiliate marketing venture aren’t exactly walks in a park, at least they are now focused towards a single goal, and that it to successfully promote the products you have just chosen.